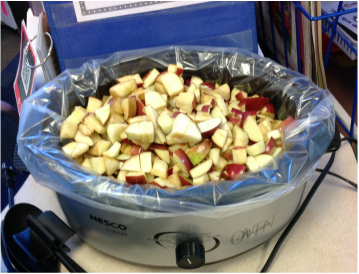 September 26th is the birthday of John Chapman, the legendary figure better known as "Johnny Appleseed." He brought us apples trees everywhere and was known for wearing a pot on his head. To honor his birthday, we made a paper hat and went around our school yard spreading seeds just like he did long ago. 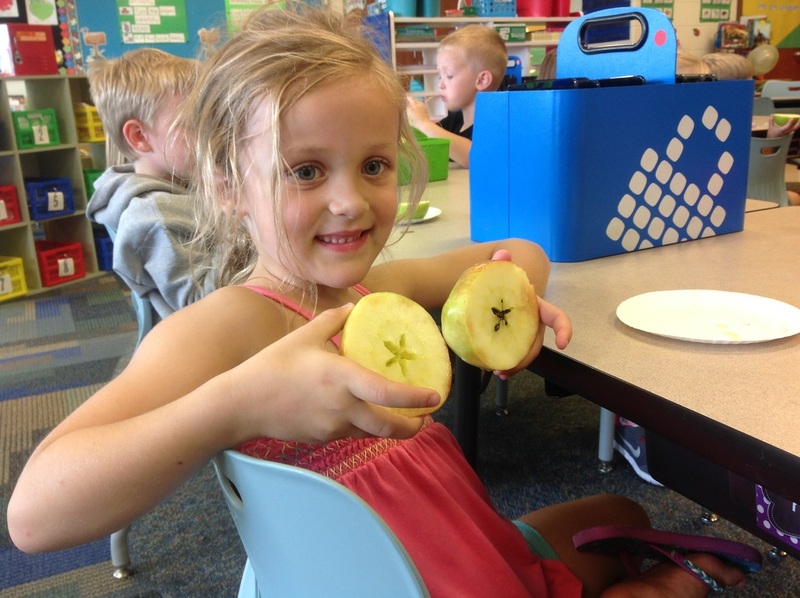 We spent two weeks learning all about APPLES. 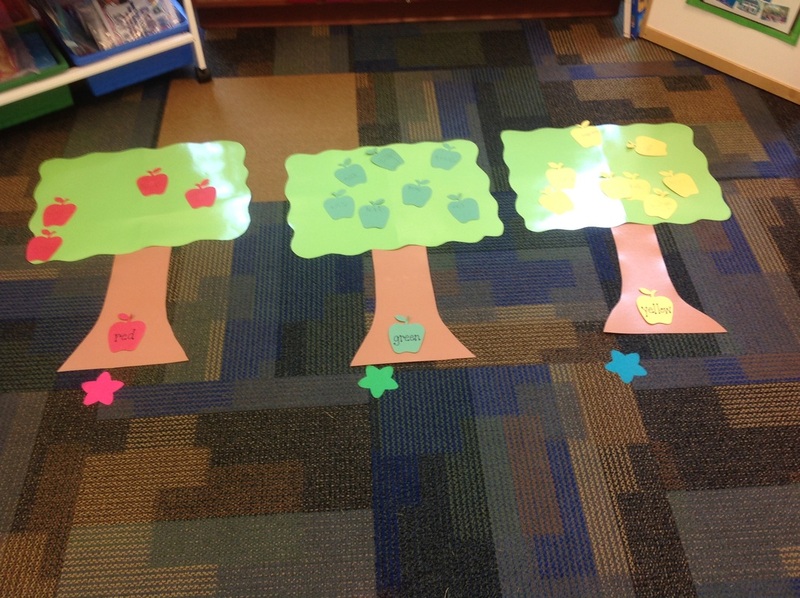 We learned about how apples grow. 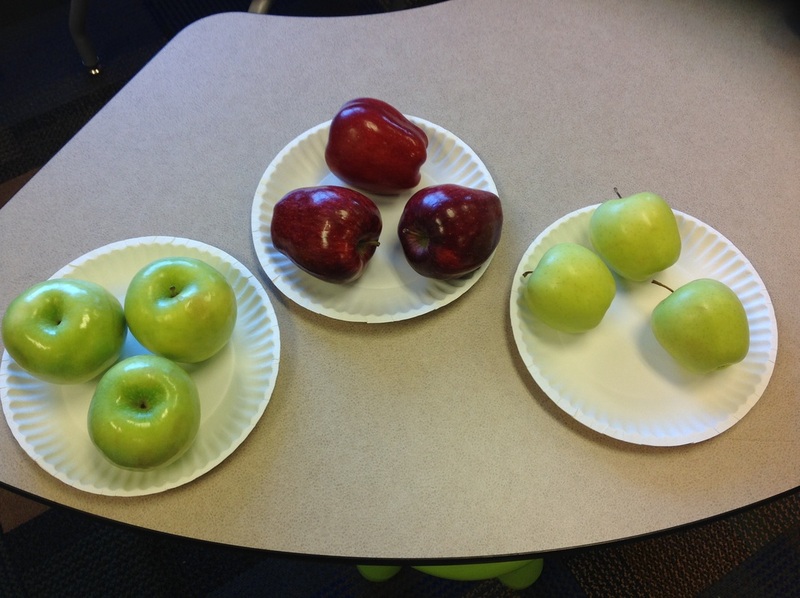 We did a taste test of which color apple we liked best. 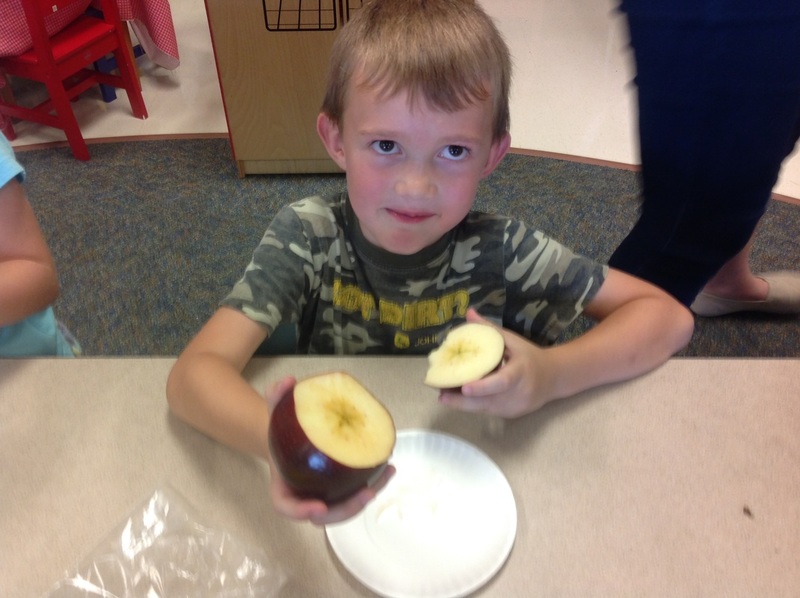 The children were able to taste a red, yellow, and green apple. 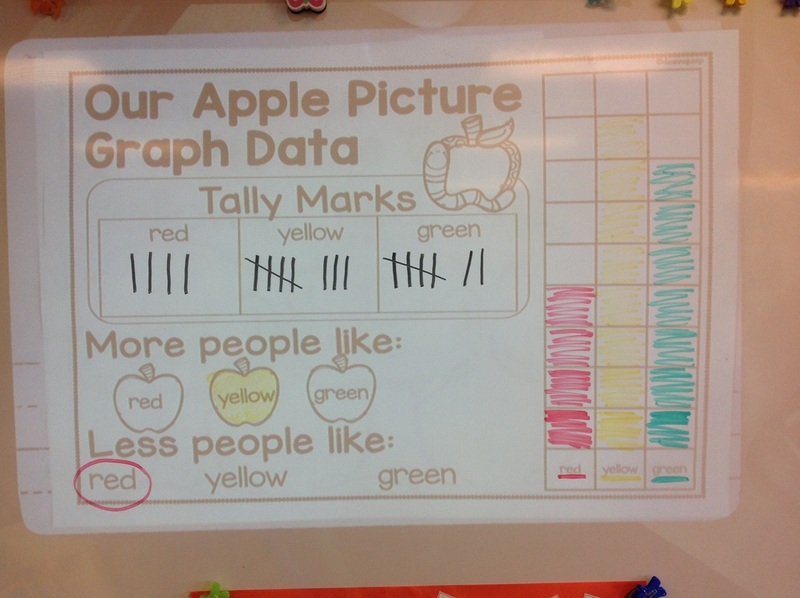 The children brought in apples and we sorted them by color and made tally marks to show how many. 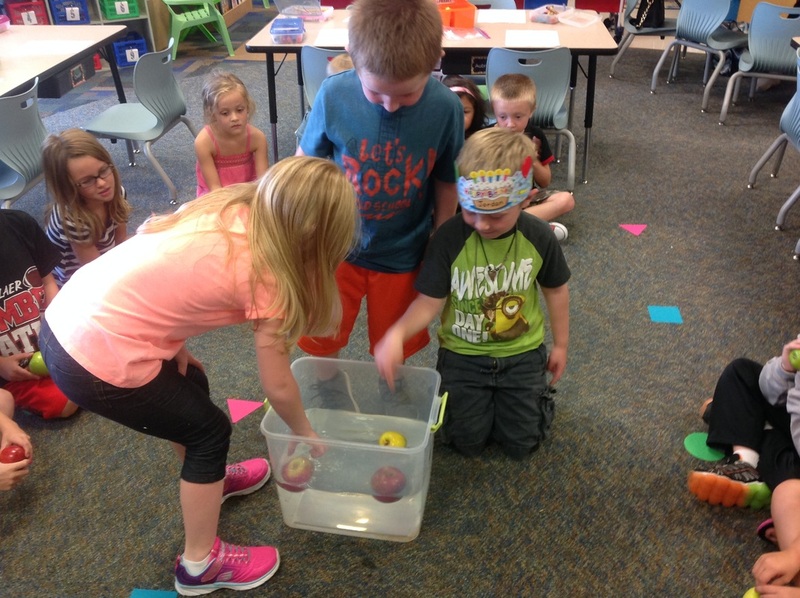 We also made predictions about whether an apple would sink or float. 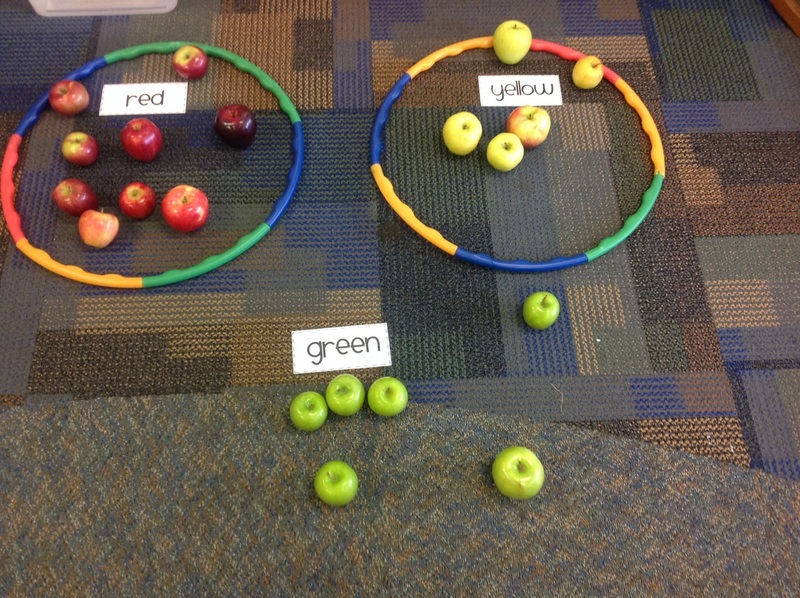 Then, we tested it out with our own apples. 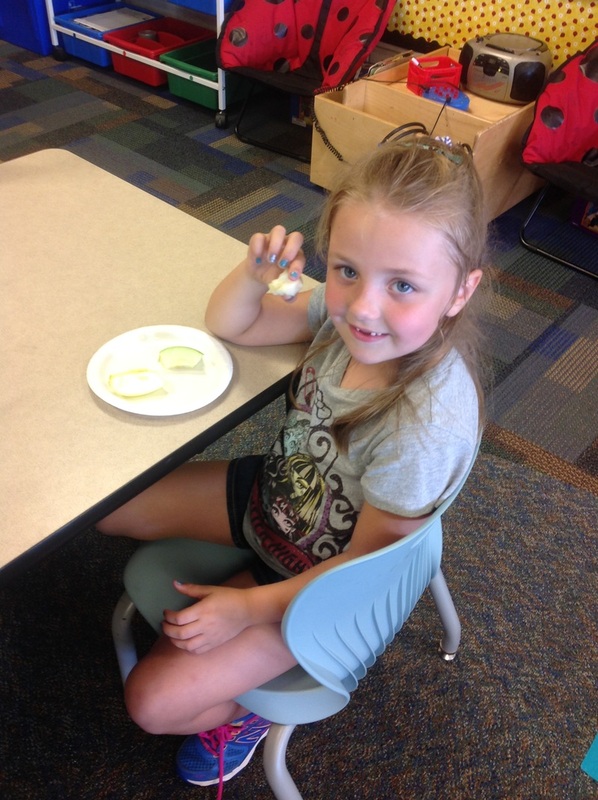 Next, we cut our apples in half across the middle to see the star inside and ate them. 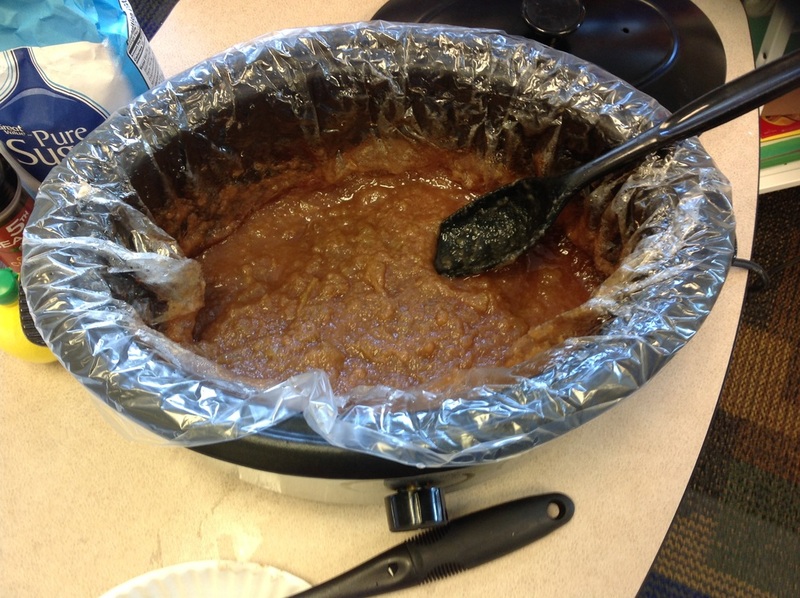 It was a fun unit of learning!